What's Your Worst Experience With The DMV? 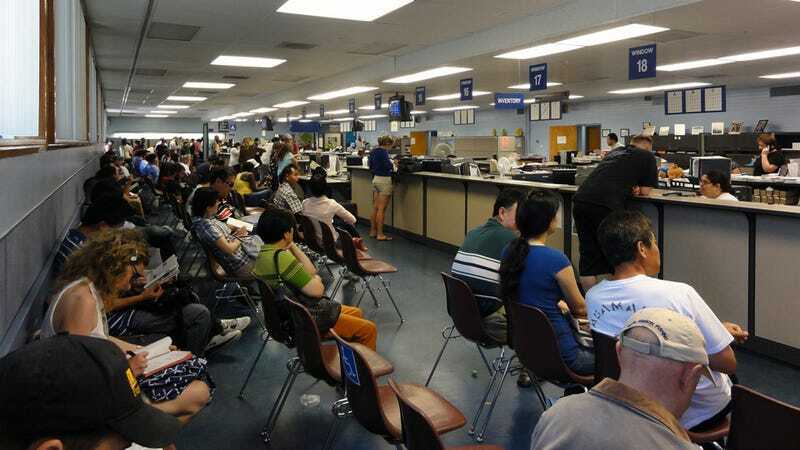 The DMV claims to be an organization designed to keep drivers educated, safe, and legal much in the same way the Democratic People's Republic of Korea claims to be a republic made up of democratic people. The DMV is basically a giant line where you pray you only have several hundred forms to fill out. You could easily find yourself in a hellish mire of red tape keeping you from registering your perfectly functioning car. What's your worst tale of woe related to the Department of Motor Vehicles?